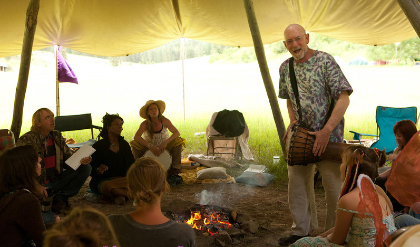 You are invited to the 2019 Permaculture Design Course! Tuesday July 2nd – Tuesday July 16th 2019. Hosted by the not-for-profit Skalitude Pollinator Sanctuary project. What is Permaculture? Permaculture is a integrative and holistic systems-level methodology which deals with ecosystem health, food production, the built environment, and energy, as well as social and economic systems. It’s focus is on working with nature, and thus is simultaneously about creating regenerative life-support systems on your land, as well as a actual way of life whose goal is a holistic integration people and place within a context of ecosystem wellbeing and waste-reduction. Permaculture is both utilitarian as well as creative and cultural. Geared both toward making an ethical living, as well as fostering enduring relationships with the land and everything that grows and lives on that land including the that which we cannot see but none the less exist. In this Course we will learn how to design productive life-support systems that both mimic and work in collaboration with Natural ecological systems. 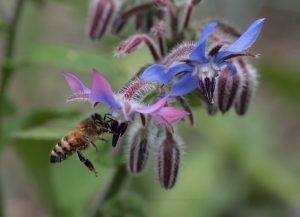 We will explore what a collaboration with communities of plants, animals and humans (with some emphasis on the role of pollinators) that live together in a respectful, sustainable and abundant manner. This Course will teach how to create settings and construct ecosystems that have the diversity, stability, and the resilience of natural ecosystems. This 14-day comprehensive also presents the unique opportunity to learn to tune into the Intelligence of Nature, in a beautiful and wild surrounding in its many manifestations. Group Design & Hands-on Projects, Slide Shows, Guest speakers, Music, and Storytelling. During the course we will outline hundreds of right livelihood jobs that exist now or new jobs that will be needed in the localized, economy that is evolving. In every course, we request that all participants lend a hand in the necessary work and housekeeping tasks, particularly in the kitchen. Kitchen clean-up after meals is shared by everyone on a rotating basis. Benjamin Pixie is a plant romancer (herbalist), revolutionary bee centered beekeeper, & a mead maker. He uses poetry as a radical tool of human feeding of non-human beings. 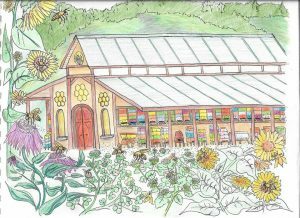 He is currently in the process of founding a community and building a bee sanctuary in the wilds of Washington’s Methow valley. 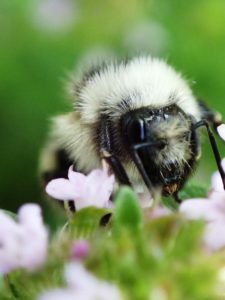 He is a Tender of Skalitude Retreat and holds space for humans to live in balance with wilderness and to be a resource toward future human-pollinator collaboration for the thrival & liberation of all beings. Skalitude is a 160 acre, off-grid ecologically conscious retreat space originally founded by Lindsey Swope back in the early 2000’s. The secluded property is surrounded on all sides by forest service land, and is frequented by wild-life of all kinds. The name Skalitude reflects Lindsey’s original intention, it comes from a Salish word (originally ‘skalalitude’), which has been defined as ‘being in harmony with nature’, ‘nature spirit’, and ‘guardian spirit’. In 2018 the land changed hands to a small group of friends, each with a special connection with the place that had developed over decades of visiting the land. Goals of this new group centers around creating an abundant home and cooperative community of nature stewards. Part of that movement is the Skalitude Pollinator Sanctuary project. Which is being spearheaded by course facilitator Benjamin Pixie. Skalitude is a rich web of life while previous owners did not focus on developing a permaculture landscape, they put there focus on maintaining a healthy and diverse set of ecosystems. Observation of nature is an important part of permaculture and you will have ample opportunity to do so at Skalitude. You will spend time exploring, discussing and experiencing the flora, fauna and landscapes. Price of the course is $1,500, and includes everything entailed in the course, camping, and meals. Those wanting to stay in Skalitudes Bermhouse can see that section below for more info and pricing. To keep a vibrant and active classroom environment, enrollment is limited to 30 participants. We encourage course participants to seek sponsors to help cover their costs. Organizations, family, friends, etc. Some organizations will contribute funds in exchange for people doing workshops or presentations to select audiences or their communities after the course. Borrow money. Ask your relatives. Is it near your birthday or other holiday? Can you get a day job? Be creative. If you can offer a ride or would like a ride please let me know. How many people can you bring? Leaving from where? Arrival and departure times, etc. The course will run from 12:00 noon on Tuesday July 2nd until 12:00 noon on Tuesday July 15th. People coming from far away can arrive on July 1st in the afternoon or evening and set up camp. A simple dinner will be served that night. People can stay Sunday night the 25th. Our check out time is noon on Tuesday July 15th. Meals consist of: Two full, delicious meals per day (with or w/o meat or dairy) served in late morning and early evening. Coffee, tea, water, fruit, muffins, protein items and healthy snacks will be available continuously. 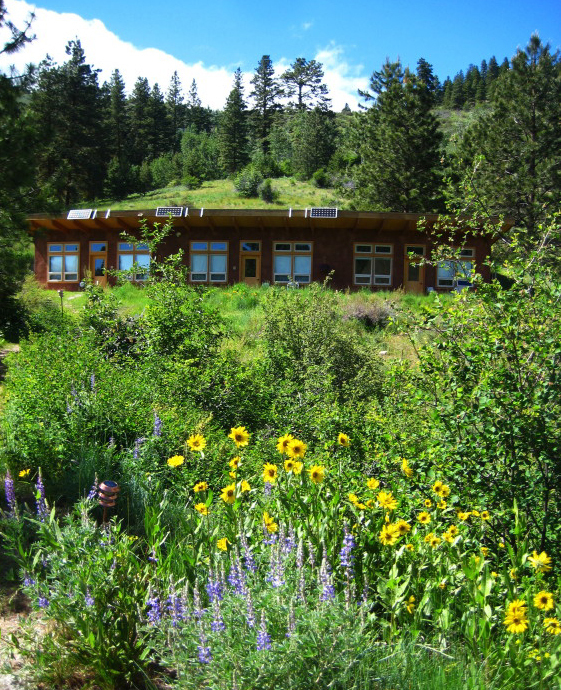 Lodging in the Bermhouse: There are shared rooms for rent in the “bermhouse” an earth sheltered natural building with three Units (called the sun, moon and stars). It is simple, comfortable & spacious with 4 beds per Unit. Each of the three rooms have their own composting toilets. Independent Bathrooms with flush toilets and showers are located at the main lodge house just a few hundred feet away. Electrical in these spaces is limited as it runs totally off grid on a 12 volt system. If you have greater need for electricity, please let us know that. For those wishing to stay in the BermHouse there is an additional $25 per person per night ($350 for the whole course). We have space to host 12 people in the Bermhouse. If you would like a private room, the rate is doubled. Camping lots of camping space is available on the land and in adjoining forest service land located immediately south of the main meadow where classes will be held. camp showers and restrooms are located just up the hill from the main meadow. Campers that need access to electricity for CPAP machines can be located near to the lodge. It may be convenient for local folks to stay at there homes and commute to the site each morning. Typical mid-summer weather for the Methow is dry, hot to warm during the day and cool at night. Thundershowers or rainy periods are possible. Please bring clothing and footwear to be comfortable come what may. It can get down into the low 40s at night. Clothing for hot weather and cool weather. Drafting supplies if you have them, such as T-squares, triangles, compasses, colored pencils, markers, etc. Useful books for the library and show & tell. Dance tapes/CDs for dance nites. Favorite hand tools. Shovels, brush hooks, rakes, loppers, hand pruners, kamas, pulaskis, mcleods, hoedads, machetes, what have you. We recommend labeling any tools you bring. Make lists, plan ahead, and give yourself enough time. Enjoy the drive. Needs to be a valid email that you check regularly. We'll send you a confirmation email after you submit this form, and also send all the course participants a few emails with further details in the weeks before the course. It will help us in our food ordering if everyone would indicate all the categories of what sort of diet you would like to eat at the course. Our goal is to have a variety of healthful food so that everyone’s dietary needs can be satisfied. Want to contribute some food? Perhaps you can get donations from farmer friends, small food businesses, or surplus harvest from their own gardens. Food donations are totally optional, and help our budget and get us some special treats. Let us know here, or later on in an email to the organizaers, about what you can bring so we can include it in our meal planning and food purchasing. Are you looking for a worktrade? You will be provided a paypal link in the confirmation email once you hit submit. If you have need to alter your information, send the alterations for the organizers email that is given on the confirmation email.